Mackerel Fishing on Sunbeam with Matt07974 753287work Boat TripsOne hour mackerel fishing trips leave Lyme Regis all day. Please phone 07974 753287 to be on the next trip, adults £9 children £6, all tackle included. 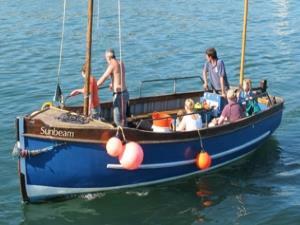 One hour mackerel fishing trips leave Lyme Regis all day. Please phone 07974 753287 to be on the next trip, adults £9 children £6, all tackle included. Deep sea fishing every morning 8:30am till 11:30am £25pp rod and bait included.